Provides a bonding primer and a first flat coat of masonry or interior paint in one. Stabilises chalky, powdery or porous surfaces and reduces peeling problems. 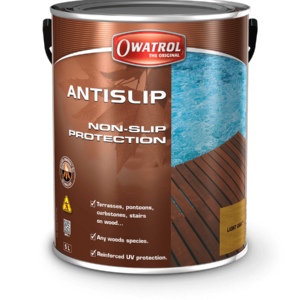 Maximises adhesion between the first and second coats. Improves durability of the finish. 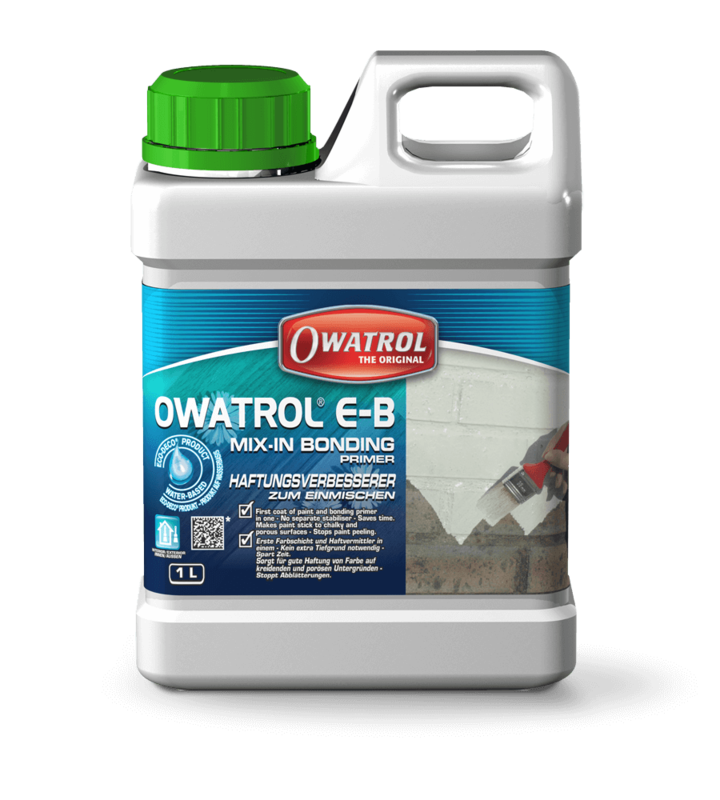 Apply Owatrol E-B modified paint over sound but chalky paint (emulsion or oil); distemper; sandblasted masonry or weathered, but sound asbestos cladding. Ideal for repainting chalky aluminum cladding, plywood or hardboard cladding and cementitious cladding. Follow directions on the paint label. Wash protected areas (overhangs, porch ceilings, etc.) with detergent and water. Rinse thoroughly before painting. To treat mildew make a solution of 1 part bleach to 3 parts fresh water to this add detergent – Allow this solution to remain on the surface for 10-15 minutes. Rinse thoroughly with fresh water and allow washed areas to dry before painting. Avoid contact with eyes and skin, and provide adequate ventilation. Always mix a small amount of Owatrol E-B with paint to test compatibility. 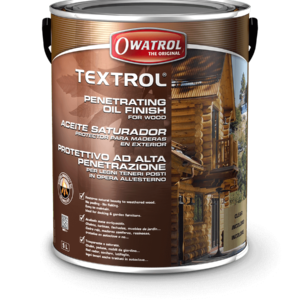 Mix 1 part Owatrol E-B to 4 parts paint. Stir paint and Owatrol E-B mixture thoroughly. If paint thickens add enough water to return paint to its original consistency. 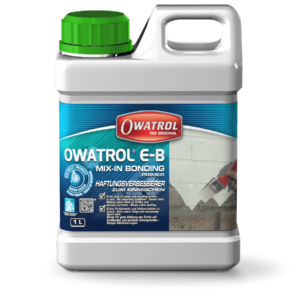 Apply any additional coats without Owatrol E-B. 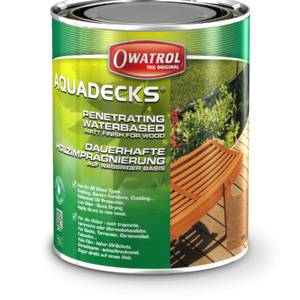 Apply additional coats when the Owatrol E-B/ paint mixture is dry. Do not apply more paint while the Owatrol E-B/ paint mix film feels soft or tacky. Coverage: Coverage will vary with the texture and porosity of the surface. 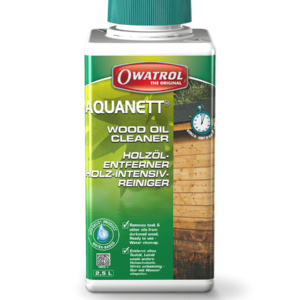 Generally 20% less material is used than if the paint or stain had been applied without Owatrol E-B.